Take your photography to the next level with the Oppo RX17 Neo, which houses a 16MP dual lens main camera and 25MP selfie camera. This impressive handset also features a dazzling 6.4 inch HD display and concealed fingerprint security scanner. Selfie fans will love the OPPO RX17 Neo, thanks to its impressive 25MP front-facing camera. 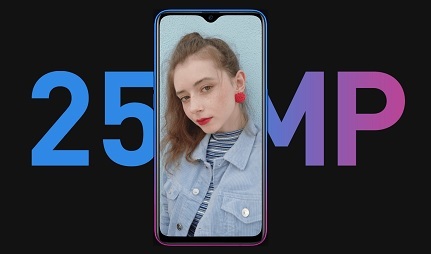 Using an AI algorithm, this intelligent lens can instantly recognise 296 facial features, analysing and enhancing your every dimension for the perfect snap. To the rear of the camera, the 16MP dual camera also used AI technology. Using smart recognition for 16 different scene types, it optimises your images with every click of the shutter. 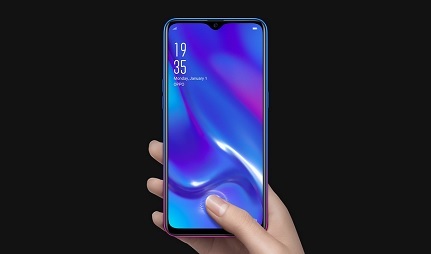 The OPPO RX17 Neo opts for an eye catching yet simple design - the backing of this device uses IMT gradient construction to create a shifting colour spectrum depending on how it catches the light. It’s a glossy and smooth finish that creates a unique and vibrant effect. With a large screen and satisfying rounded edges, the overall design is sleek and streamlined. At only 7.4mm in thickness, it’s a slim device that appears stylishly modern whilst still being easy to grip in the hand and carry in your pocket. 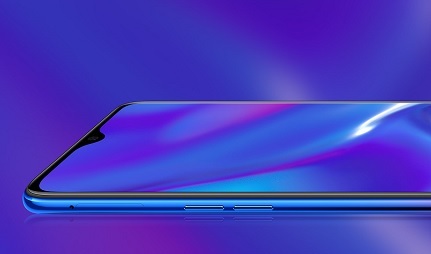 This device boasts a 6.4inch Super AMOLDED display with a waterdrop notch to contain the front camera, allowing it to achieve an impressive 91% screen to body ratio. The simplistic and uncluttered nature of the display gives you more room to enjoy streaming and gaming. 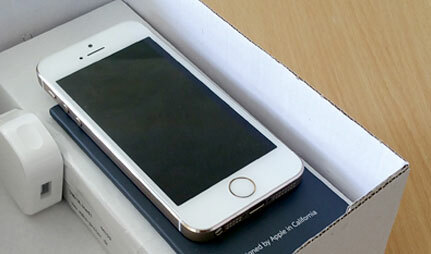 The screen also hides the fingerprint scanner for this device, so you simply touch the screen to operate it. The OPPO RX17 aims to create a smarter experience with the ColorOS 5.2 operating system, making your daily app interactions much easier. 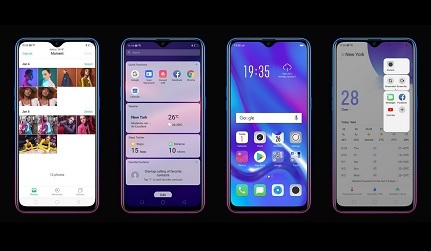 It includes the Smart Bar which allows users to switch and toggle between apps, aiming to make it easier to balance all the functions of your phone, whether you’re listening to music while you work or responding to messages whilst streaming a video. It also includes other useful features such as Music on Display which allows you to control audio streaming without having to keep your phone unlocked.